In her role with SEC, Sarah provides an agronomic perspective to the EcoPractices® platform process. 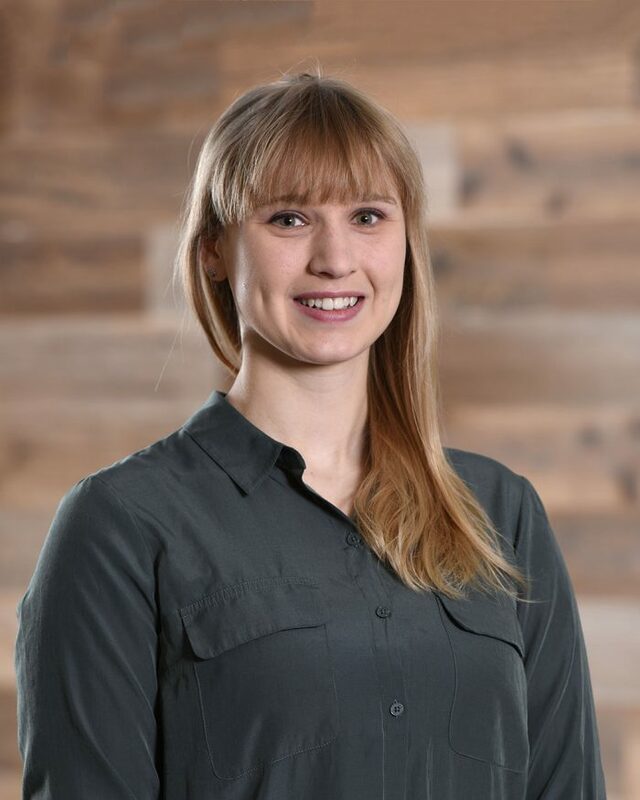 She specializes in agronomic data processing, transforming raw data into usable information to drive informed management decisions to move the needle on sustainability. She also develops personalized recommendations as part of SEC’s Sustainable Continuous Improvement Plan™ for clients. The most rewarding part of her job is learning about new cropping systems in locations across the country and then comparing these various systems to one another to help farmers and growers make improvements to soil health. She offers SEC customers and the team current agronomic knowledge that is backed by science to help them succeed – allowing her passion for agriculture and environmental protection to come together with her skills. Sarah holds bachelor’s degrees in agronomy and animal science from Iowa State University (ISU). During college, she was a member of the soil judging team and an executive member of the Soil and Water Conservation Club. She worked as a greenhouse assistant at the ISU Plant Transformation Facility growing various crops for GMO research. She also spent her summers interning for seed companies assisting in large-scale corn hybridization. Sarah recently passed the state of Iowa and the international exams for Certified Crop Advisor and holds the title of CCA Candidate Status as she works to complete her experience requirement. In her spare time, she enjoys nature walks and playing with her cat. She also enjoys learning new skills, including playing the piano.